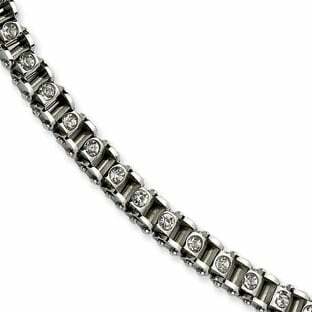 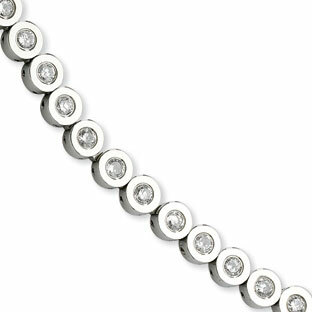 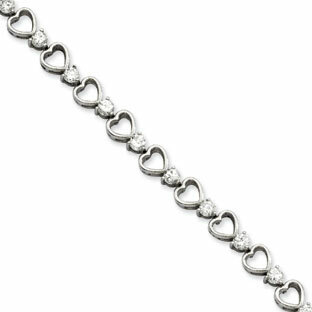 This bracelet features 80 CZ gemstones in a double row for extra sparkle and style. 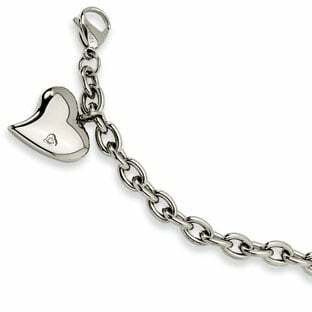 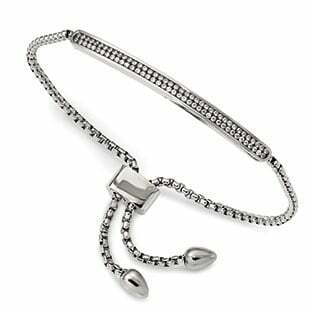 The bracelet is crafted of polished solid Grade 316L surgical stainless steel. 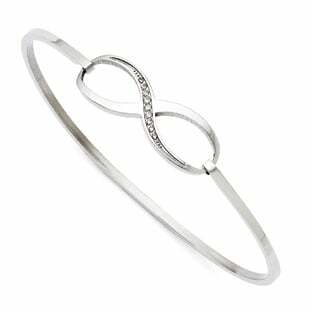 Bracelet length is adjustable from 5 to 9 inches. 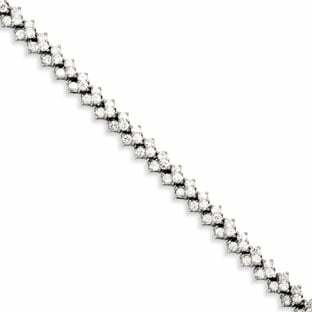 Top CZ section measures approximately 2 inches (length) by .12 inches (width).